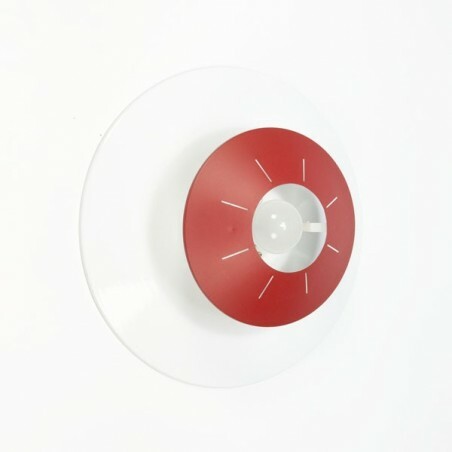 Design wall lamp designed by Louis Kalff for Philips in the fifties. 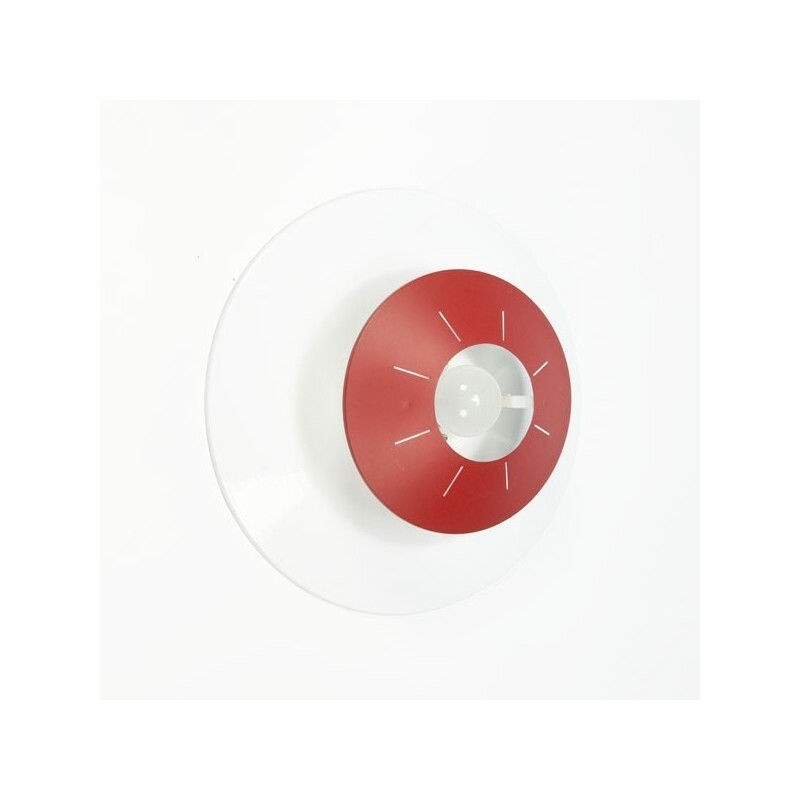 The lamp consists of white metal bowl with a red metal cap. The condition is very good considering the age, see the detail photos. The dimension is 37,5 cm in diameter and 15 cm high.